Vern Prenzler, my father and a lifelong Bloomington resident, attended the Green Bay Packer & Dallas Cowboy game in Green Bay, Wisconsin 50 years ago today. Vern was 39 years old at the time and was given a single ticket by an in-law. He sat in the south end zone, where the winning touchdown was scored by the Packers' quarterback Bart Starr with sixteen seconds left in the game! The 1967 game is nicknamed the "Ice Bowl", famous for its incredibly low temperatures. That day, the temperature was -15 degrees. Vern remembers the wind chill at -57 and said people sat very close together. "I had a stocking cap, ear muffs, two or three scarves, long underwear with corduroys, boots, and lot of candy bars," he recollected. He also remembers people around him enjoying alcoholic beverages to keep warm. Vern says his favorite player in the 1967 game was Jim Taylor, the team’s running back. My mother, Ruth, was from Oconto, Wisconsin which is 30 miles north of Green Bay. When we would visit Oconto, we always passed Lambeau Field on the way. We grew up knowing who Vince Lombardi was and the names of all the other famous Packers. Eight years ago, Vern visited the Packer Hall of Fame with my son and me. 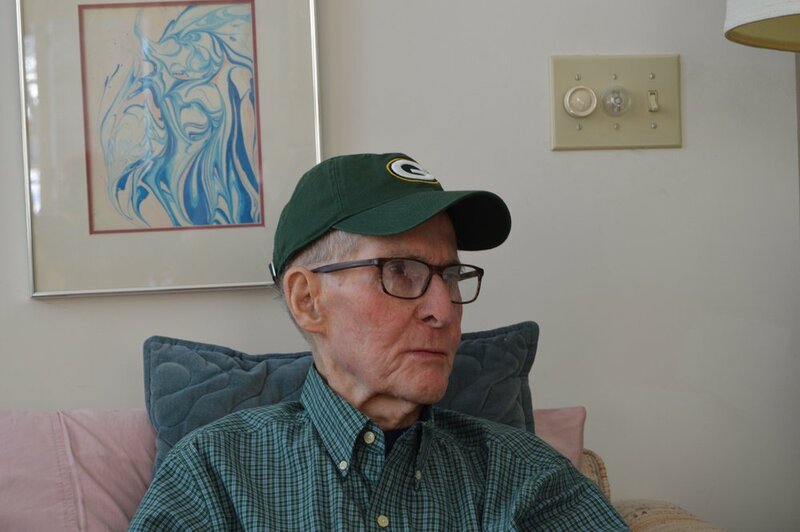 Vern, now 89 years old, remains a diehard Packer fan and follows the team closely. 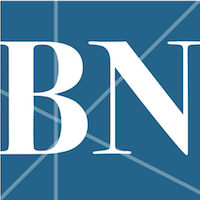 He and his long-time friend John Esch (who is also a Bloomington resident and a huge Green Bay fan) regularly discuss the team’s players and strategies.